FXX: it's like FX, but, you know, more of it. More of the dramas, more of the comedies, and more of the best movies on TV. More of everything except money – that is, if you're doing it right. If you're doing it wrong, though, FXX can cost you big bucks. Your cable or satellite provider would love for you to use FXX's great content as an excuse to keep paying that extortionate bill they're sending you each month. But there's no reason to do that, because these legacy pay TV companies are not the only way that you can get FXX. You can secure an FXX live stream legally and cheaply and watch FXX without cable. Intrigued? Then read on, and let us show you how to watch FXX without cable. Oh, and by the way, if you're looking for information on FXX's big brother, FX, we have you covered there with our article on how to watch FX without cable. FXX isn't available over the air like Fox is – not even big brother FX is quite so widely available. No, FXX has always been a network TV station, not a broadcast one. For years, that meant it was only available through cable or satellite companies. Not anymore, baby. Times have changed, and a new breed of streaming services has made it easier than ever to say goodbye to cable without saying goodbye to any of your favorite channels. This new type of service is called, appropriately enough, a live TV streaming service. And it does exactly what you'd expect. Want to watch live TV – real live TV, with things happening on your screen at the same moment as they're happening on everyone else's? These services have you covered. Want to watch that TV at any time, on any device, pay less for the privilege, and cancel anytime? Well, guess what: you're covered there, too, and that's exactly why these services are succeeding. With smaller channel bundles that include only the best stuff (these services are sometimes called “skinny bundles” for this reason) and stream “over the top” (that's “over the internet” in industry lingo), these services offer an experience that goes wherever you go and brings no unnecessary baggage. There's plenty of competition, plenty of innovation, and very low prices. And these services, in many cases, offer an FXX live stream – making them the perfect ways to watch FXX without cable. Let's meet the services you need to know about. Hulu has long had fans thanks to its successful streaming video on demand (SVOD) service, which works like – and competes with – Netflix. For a while now, they've also been offering this live TV streaming service, which costs $39.99 per month and offers a robust selection of channels that just so happens to include FXX. 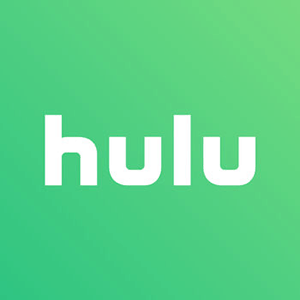 You can read our review of Hulu with Live TV here or can check out the service for yourself by clicking the link below. You'll be able to enjoy it for free for a week while you make up your mind. Sling TV works a little differently from much of the competition, offering subscribers a customized experience that begins with choosing a base package (“Sling Orange” for $25 per month or “Sling Blue.” also for $25 per month) and continues with “extras,” which are little groups of like-minded channels that you can add (or pass on) at will. The extras are great, but all you'll need in order to watch FXX without cable is Sling Blue ($25 per month), which includes the channel in its base package. If you want to get both base bundles, that's just $40 per month. And you can test everything out for free by clicking on the link below and signing up for Sling TV's free trial offer, which lasts one week. fuboTV was a soccer-only streaming service a long time ago, but that's ancient history. Some bragging about their special appeal to sports fans notwithstanding, fuboTV is for everyone, and has been for a long time. Its $44.99 per month “fubo” bundle and its $49.99 per month “fubo Extra” bundle (which is bigger, of course) both include FXX. 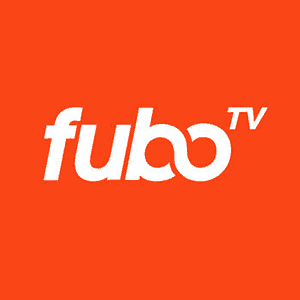 You can check out fuboTV for free for a week by clicking on the link below. The service also offers a discount on your first month. 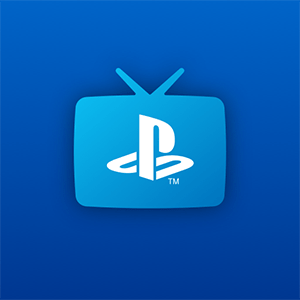 PlayStation Vue is Sony's entry into the live TV streaming service market, which is why it shares its branding with Sony's successful line of video game consoles. You can watch PlayStation Vue on just about anything, not just a PlayStation, and while you're watching it you can tune into FXX – which is included in every one of PlayStation's several bundles, including “Access,” which is the smallest and, at $44.99 per month, the cheapest. You can test out PlayStation Vue for free for five days by clicking on the link below and signing up for the service's free trial offer. YouTube TV is Google's skinny bundle service, and it also happens to be a great way to watch FXX online. YouTube TV's main channel bundle costs $40 per month for subscribers, and it includes an FXX live stream. YouTube TV offers a week-long free trial, so you can try it out without any risk. Just click on the link below this paragraph to get your hands on YouTube TV's free trial offer and to learn more about the service. 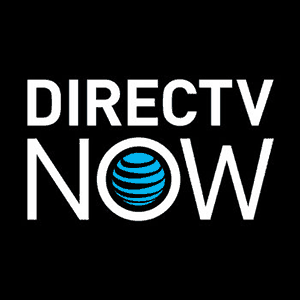 DirecTV Now offers subscribers their choice of several different bundles. The smallest is “Live a Little,” which costs $40 per month. Move up from there and you'll see the price rise with the channel count. All of the channels from “Live a Little” are also available in its larger cousins, and one of those channels is FXX – so no matter which bundle you try here, you'll be able to use it to watch FXX without cable. Read our review of DirecTV Now here, or just ignore it and try the service for a week by signing up through the link below – it's free, after all. Can I Watch FXX on Roku, Fire TV, Apple TV, or Chromecast? Absolutely! All of the major streaming services we listed above offer great platform support. Specifically, we're talking about Roku fans being able to choose between Hulu with Live TV, Sling TV, fuboTV, PlayStation Vue, YouTube TV, and DirecTV Now. Fire TV fans, meanwhile, get Hulu with Live TV, Sling TV, fuboTV, PlayStation Vue, and DirecTV Now as their options ‘ as of this writing, YouTube TV does not have an app for Fire TV devices. Apple TV users get their pick of the litter: Hulu with Live TV, Sling TV, fuboTV, PlayStation Vue, YouTube TV, and DirecTV Now. Hulu with Live TV, Sling TV, fuboTV, PlayStation Vue, YouTube TV, and DirecTV Now each also work well with Chromecast devices. Android TV devices can run Hulu with Live TV, Sling TV, fuboTV, PlayStation Vue, and YouTube TV. As of this writing, there's no DirecTV Now app for Android TV. You can watch FXX without cable on your mobile device, too, thanks to apps for both Android and iOS from each of Hulu with Live TV, Sling TV, fuboTV, PlayStation Vue, YouTube TV, and DirecTV Now. Hulu with Live TV, Sling TV, fuboTV, PlayStation Vue, YouTube TV, and DirecTV Now each also have desktop and/or in-browser apps that allow you to stream live TV on your desktop or laptop computer. Gamers, you're covered, too: Hulu with Live TV, Sling TV, and YouTube TV work on Xbox One, while PlayStation Vue works on PlayStation 3 and PlayStation 4.